I finished this book in 2 hrs. Only one word "UNPUTDOWNABLE". No kids at home, went to christmas party so got that ME TIME .. lol..so was able to finish in one sitting. Gabriel McQueen is a young widow who has just arrived back to his childhood town on military leave to see his young son and his father the sheriff. When Gabriel entered into the house, his father informs him of an incoming ice storm. In Maine, this is dangerous news and he is quick to do as his father tasks. The task is to go deep up into the mountains and bring back long time resident Lorelei Helton to safety. Gabriel know Lorelei (Lolly) all to well and she was rather a pain in his back side back in High school and basically there is no love lost between them. He safely brings her back home. As Gabriel muses back to his icy childhood rivalry with Lolly while driving to her cabin, she is in danger trapped by two irrational meth addicts. Gabriel quickly assesses the situation on the ground and uses his military training and experience to extract Lolly from the house and the enemy. However, as covertness as he was, the two maniacal thugs go after them. This is a fast read romantic suspense with the frozen isolated location. Both r trying hard to melt the ice between them and prevent the epidermis loss by kissing each other. 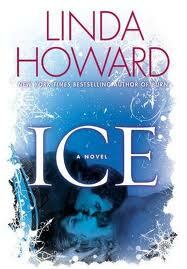 Linda Howard fans will enjoy this read. Read this a long time ago. It's not my favorite Linda Howard. I think my very favorite was also a long ago book, Son of the Morning, and also some of her category romances for Silhouette. Hi I found your blog from your comment on my Book Blogger page and I am now following your blog. My blog is http://postfornow.blogspot.com. Thanks and Happy New Year.